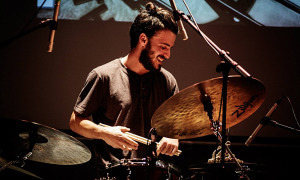 Meet Mike Mainieri: Primarily recognized as an award-winning jazz vibraphonist, Mike Mainieri's equally remarkable talents as producer, performer, arranger, and composer have contributed to shaping the cutting edge in music. During '50s and early '60s, he performed with such legendary artists as Buddy Rich, Billie Holiday, Dizzy Gillespie, Coleman Hawkins, and Wes Montgomery. 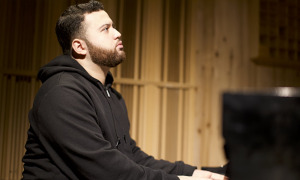 At the age of 20, he won Down Beat's International Jazz Critic's Award. In 1962, he joined the ground breaking jazz/rock group Jeremy & the Satyrs led by flutist Jeremy Steig. The Satyrs appeared at New York's Club A-GoGo, and performed with such monumental figures as Frank Zappa, Richie Havens and Jimi Hendrix. During the late '60s, this small circle of performers grew into what became known as the White Elephant Orchestra, a 20-piece, all-star, experimental ensemble. 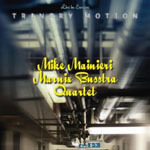 The group featured such soloists Michael Brecker, Ronny Cuber, Jon Faddis, Lew Soloff and Randy Brecker. 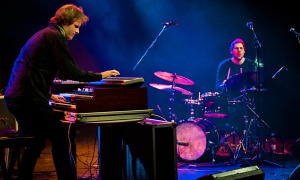 In the late '70s, Mike founded the pioneering jazz/fusion group Steps Ahead, which included previous cohorts Michael Brecker, Eddie Gomez, Steve Gadd and Don Grolnick. Delving into contemporary sounds while maintaining experimental sounds and compositional integrity, Steps Ahead was and is a launching pad for young talent and new musical ideas. Pianists: Don Grolnick, Warren Bernhardt, Eliane Elias, Kenny Kirkland, Rachel Z., George Whitty, Mitchel Forman, Robbie Kilgore, Dave Kikoski, Joey Calderazzo. Guitarists: Mike Stern, Steve Khan, Chuck Loeb, Hiram Bullock, Dean Brown, Paul Jackson, Wayne Krantz, Jimi Tunnell. Bassists: Eddie Gomez, Tom Kennedy, Victor Bailey, Daryl Jones, Tony Levin, Jeff Andrews, James Genus, Baron Browne, Richie Goods, Marc Johnson, Ed Howard, Larry Grenadier, Scott Colley, Richard Bona. Drummers: Steve Gadd, Peter Erskine, Steve Smith, Rodney Holmes, Billy Kilson, Clarance Penn, Jeff "Tain" Watts, Ben Perosky. 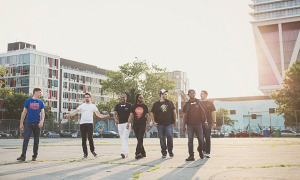 Vocalists: Dianne Reeves, Bobby McFerrin, Richard Bona. Other noteworthy jazz collaborations have included recordings with Joe Henderson, Art Farmer, Dave Liebman, Al Jarreau, David Sanborn, Marcus Miller, Joe Lovano, Jim Hall and Jane Monheit. 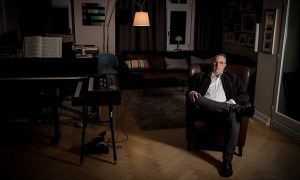 As a composer, arranger and performer, Mike has contributed to over 100 gold and platinum albums. 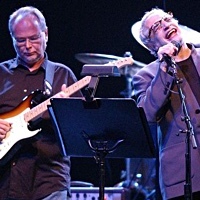 An active participant in the rock and pop scenes, Mike produced and co-wrote three albums with Carly Simon, and recorded with Paul Simon, Linda Ronstadt, Aerosmith, Billy Joel, Janis Ian, James Taylor, Dire Straits, Bonnie Raitt, George Benson, and on Don McClean's classic album; American Pie (EMI, 1971). 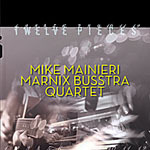 In 1991, Mike brought to bear his vast experience with the creation of his own Jazz label NYC Records Inc. The independent label is a vehicle for exposing new and established artists such as vocalist Luciana Souza, pianist Rachel Z, alto saxophonist Myron Walden and legendary tenor saxophonist, George Garzone. 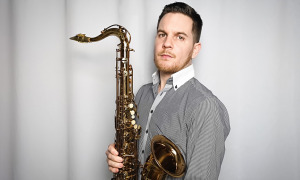 Mike is still active touring worldwide with his group Steps Ahead, guesting in workshops and various recording projects. 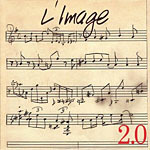 Recently Mike reorganized a collective quintet which performed in the early '70s called L'Image, and features drummer Steve Gadd, bassist Tony Levin, keyboardist Warren Bernhardt, guitarist David Spinozza and Mike on vibes. 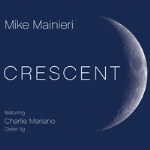 Their latest CD and the NYC Records catalog can be found at: www.mikemainieri.com or www.nycrecords.com. Teachers: Lem Leach (vibraphone); Phil Kraus (mallets), Doug Allen and Ted Reed (drums); and Alfred Friese (timpani). Influences: Red Norvo, Lionel Hampton, Milt Jackson. I knew I wanted to be a musician when... As long as I can remember. I began playing professionally at the age of 14 in 1952 when I appeared with my jazz trio on the Paul Whiteman Teen Club TV & Radio show. I've been performing ever since.